Every year, right around this time, I start warming up to the Fall collections. 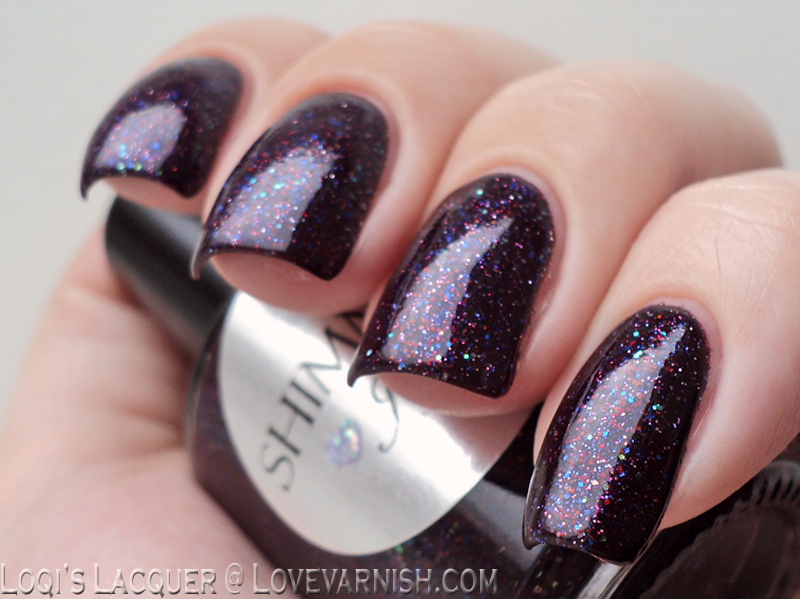 This beautiful Shimmer shade called Jacki is certainly helping with that - look how dark and deep it is! 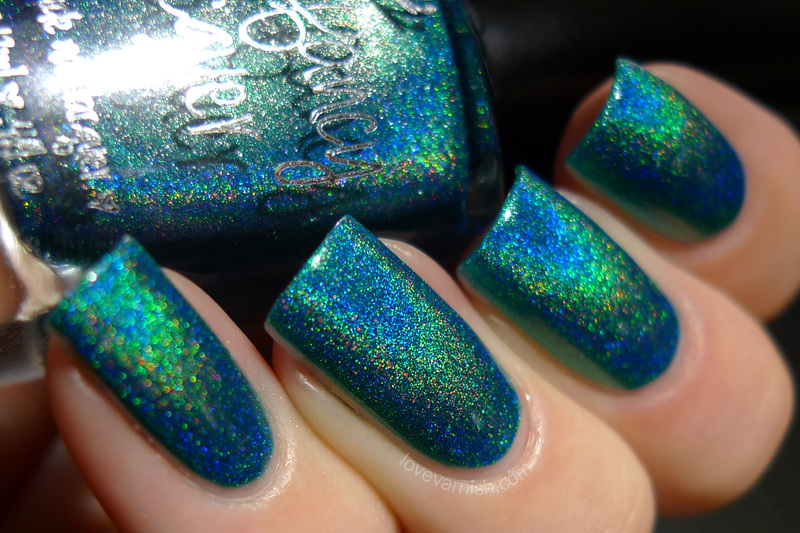 The Too Fancy Lacquer Keep Calm series include some gorgeous shades.. just look at this one! The holographic effect is so smooth and strong, really lovely. Learning the Lingo was such a fun series - talking about hand- and nailcare is always a good idea! This time I talked about cuticle removers, so check that post for more info. If you like candy nails you might want to take a closer look at Dance Legend Pansy, part of the Provence collection. This pastel glitter topper looks so yummy, like sprinkles on icecream! If you didn't know about Very Emily yet, I urge you to check out her blog - she has some of the most wonderful swatches and does gorgeous nail art. She also has a collaboration shade with piCture pOlish called Eerie, and I love it!